This is the long awaited debut album from Welsh trio Estrons. I saw them live about 3 years ago and they were not known to me at the time but I still remember the meaningful racket they made that day and I am glad to have seen them grow and grow into the formidable force they are now. On the surface, there is not much to get excited about Estrons and their abrasive brand of indie-rock. They don’t appear to be making music that is original or pushing boundaries. However, dig a little deeper and there is a primal urge that makes up their music which has the ability to nestle inside your skull and give it a visceral shake of the senses. There are some noticeable absentees from the album. Firstly the song ‘Strobe Lights’ didn’t make the cut and also ‘Glasgow Kisses’. Whilst the former track was the one which brought me to their attention, I am glad to say that the album manages to deliver songs with equally if not better knock-out results! Estrons cleverly craft pop-punk songs with a supportive backbone with unrelenting distinctive bursts of aggression and the anger of Thali (singer) – she lays to waste the objectification that women can experience in their life from men. This is clear to hear on the corrosive but catchy as hell numbers ‘Lilac’ and ‘Make a Man’. Although at times it feels like I am remembering some of the angst of my teenage years, that doesn’t take away the sparkle and ferocity which Estrons work up here. Thali’s voice is powerful and expressive but she also shows poise and control too amongst the crunching metallic riffs that assault every air pocket at their disposal. The chemistry in the band is water-tight. They play with a precision that is, at times, intoxicating. Recent pre-album taster ‘Body’ is another standout here with its staccato rhythms and an infectious chorus which helps to give this album a dynamic shape whilst ‘Jade’ with its meandering bass riffs entice the listener further into this impressive body of work. ‘Jesus…’ feels like the album’s refrained moment. The song builds nicely and really shows a more mature side to their song-writing. 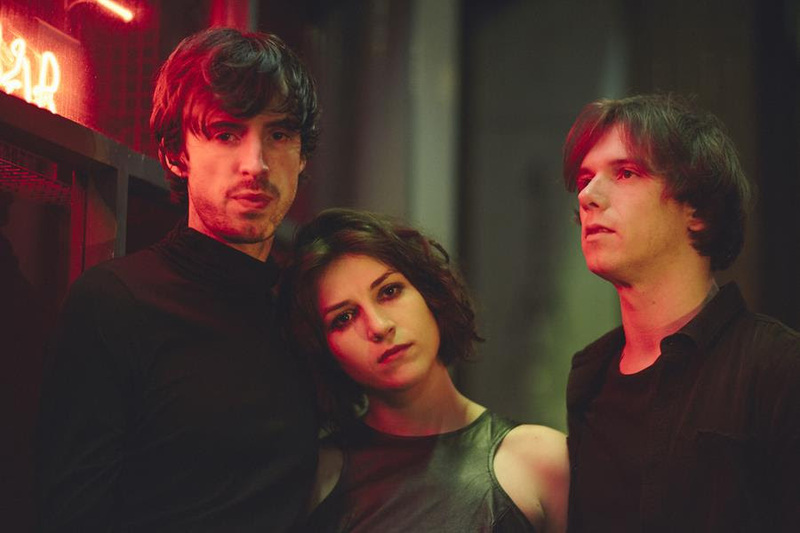 Despite the album running time clocking in at 33 minutes, Estrons squeeze so many clever twists and turns into their debut album which keeps things interesting. ‘Drop’ ends the album on a positive uplifting note with the message to embrace good feelings by detaching yourself from the everyday distractions of modern life such as your phone and TV – guitars play with abandon and Thali’s voice wails once with glee on the closing track. It’s an inspired end to the proceedings an Estrons have made their voice heard loud and clear. In the meantime, we can get lost in this fine set of songs they have crafted and served up to us. Their live shows promise to be equally enthralling too.